To continue our discussion of the twelve tone scheme and the Second Viennese School, we’re going to talk today about the method itself. I’m going to be up front with you, though. I’m not a professional musician, I am not a historian, a musicologist, an acoustician, or anything of the sort. I am a reader and a listener. For purposes of this article, I’m going to be as simple and non-pedantic as possible while still explaining the idea constructively. Again, in my mind, it’s better to go from knowing 0% about something to 80% about it, even at the risk of containing a few sweeping generalizations or factual errors in the process. For all amateur purposes, that’s enough to get an informative and satisfying grasp of the concept. I think the best way to view this is to contrast it with “traditional” Western classical (“diatonic”) harmony. Perhaps all of that should have been capitalized. Before I explain the ideas, though, let’s identify two major components of music: melody and harmony. These words are so familiar as to seem not to need definition, but you may find them hard to pin down technically. Melody is made up of notes played in succession, one after the other. Sing the lyrics or hum the tune of any song you know, and that’s a melody: one note after the other, horizontally. 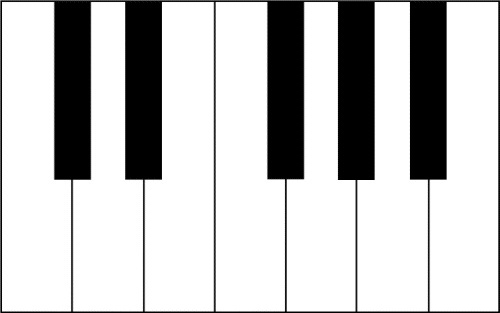 Harmony is made up of notes played at the same time (vertically) to create chords. The twelve-tone system affects both. The twelve-tone system does away with tonal centers or the idea of a “key” and gives a level playing field to all pitch classes (notes) and dictates that they all be given equal weight, one played just as often as another, by means of sticking to a “row” that dictates the order of notes within a section or passage of music. Dissonance is therefore created as a result of these notes all being equally present within the same piece. As a result of this non-reliance on (traditional) harmony, things like textures and rhythms and orchestration become increasingly important to emphasize melodic ideas and give structure to a piece. In the next part, we’ll talk about how I came to tolerate, appreciate, and even love (some of the) music written in this modern compositional method.